After an impressive showing of Switch games at yesterday’s Direct event, Hollow Knight: Silksong has now been announced. What originally started out as DLC for the indie darling Hollow Knight is now getting the full sequel treatment. The dev team initially intended Silksong to release as an add-on but has now dedicated themselves to flipping it into an entirely new experience. All the details are down below. 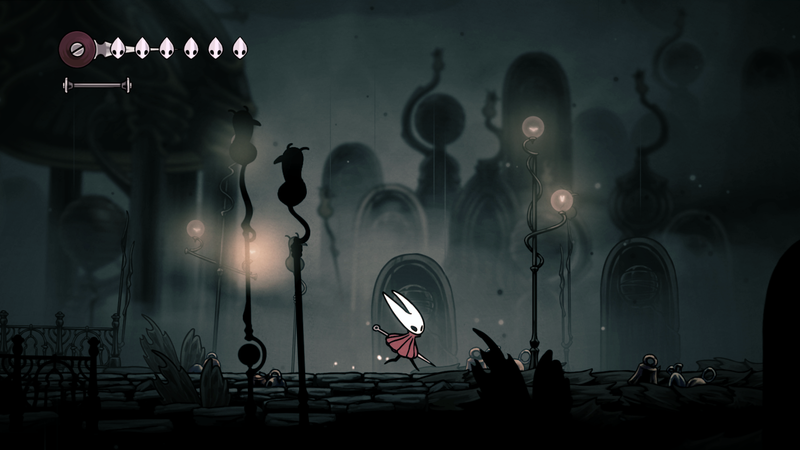 Hollow Knight, which tells the story of a long-abandoned insect kingdom, originally released back in 2017. Since then, it has garnered a massive following and near perfect review scores. Its Metroidvania-style gameplay and impressive visuals quickly transformed the game from a successful Kickstarter campaign into one of the most beloved indie games of the last few years. Developers, Team Cherry, have also now morphed what was originally going to be DLC for the main game into a full on sequel. Sliksong stars Hornet, the princes off Hallownest some gamers might remember from the game proper. After being captured and swept away to a new land, players will have to unravel an entirely new tale filled with a smattering of new enemies, cities, bosses and much more. In fact, the game features over 150 new enemy types with an intense focus on mobility. In the debut trailer below, we see everything from grappling mechanics and a series of small companions to razor blade mines and loads of new weapons/tools. The main game’s gorgeous visuals and fantastic Metroidvania gameplay propelled it to the top of the indie list in most people’s book, so here’s to hoping Hollow Knight: Silksong can do the same thing. Judging by the visuals and new gameplay elements it shouldn’t have a hard time doing so. Gamers who supported the first game on Kickstarter will still be getting this for free too. Having said that, this is a standalone experience of sorts so new players shouldn’t have any issues diving in.